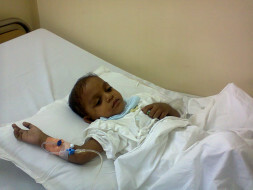 My 4 year old son, Harsh, is suffering from PRE-BCELL ACUTE LYMPHOBLASTIC LEUKEMIA. I am a driver and earn enough to feed my family. I have two daughters and two sons. My wife is a homemaker. We stay at Kalyanpuri area in Delhi. When we came to know of his illness, I took a loan of Rs 1.5 lakhs. 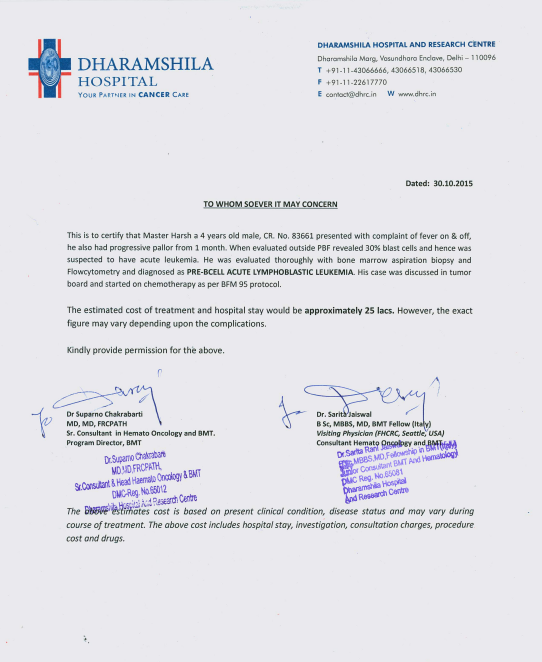 Harsh was undergoing treatment in a Government hospital but the doctors there referred him to Dharamsilla Hospital, Delhi. I have spent Rs 4.5 lakhs till now for his treatment. The estimated cost of treatment is Rs 25 lakhs. He should undergo chemotherapy to get better. Any small help will support Harsh's treatment. We are happy to inform you that Harsh has been doing quite well and is responding to his treatment positively. His father Shivam spoke to us from the hospital where Harsh is currently undergoing his fourth session of chemotherapy. According to Shivam, Harsh has been scheduled for two more sessions of chemotherapy over the next two . So far, he has completed four rounds. Shivam is also eager to enroll Harsh into a playschool next year, something cancer prevented him from doing two years ago. He is deeply grateful you for your support and encouragement throughout Harsh’s treatment. I am Boaz, a Milaap Open fellow and I met Shivam, Harsh’s father, who’s fundraising for his son Harsh, suffering from cancer. Harsh is a five year old boy now. He was present when I went to talk to Shivam in their house and know all about his health condition. 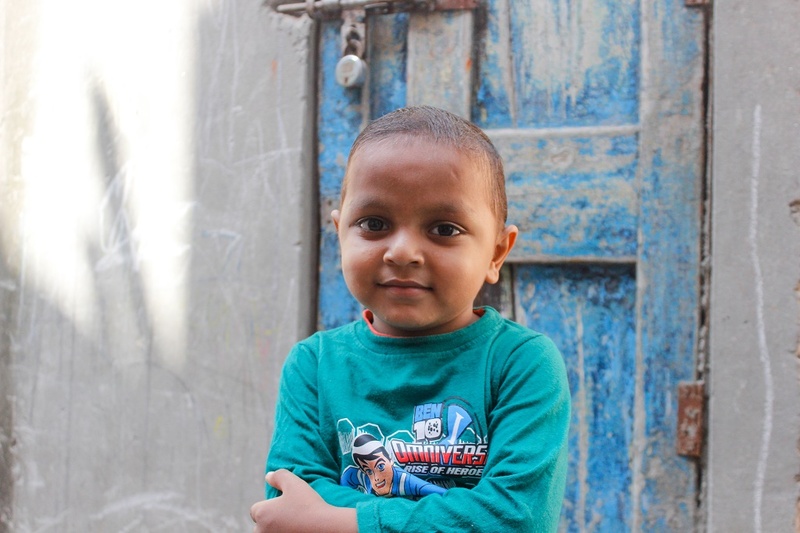 Harsh’s health problem started about eight to nine months ago. It started as a fever and when they took Harsh to various hospitals for tests, they came to know that he has cancer. Fortunately, Harsh is doing well now and didn’t had to undergo the bone marrow transplant that his family thought would be a necessity. He, however, underwent seven chemotherapies and the doctors were able to treat his condition. Since Harsh didn’t require funds for the transplant, the hospital and Milaap decided to give the remaining funds for other patients in need. Shivam received Rs 4 lakhs from the funds raised via Milaap for Harsh’s treatment. Shivam has two sons, two daughters, and a wife. Shivam is working as a driver from 20 years. He came to know about Milaap when someone from Dharamshila hospital told him about it. He had spent his personal savings before that for Harsh’s treatment. Shivam is the only earning member in his family. Due to low salary, he is thinking of starting his own business in a small scale. Shivam showed me an old photo of Harsh telling that he used to look very good earlier, his health deteriorated after the sickness and now he is recovering and looking much better. Harsh is taking medicines and undergoing regular tests which will continue for one and a half more years. Harsh likes to play candy crush game in his father’s mobile. Harsh’s parents are now looking to get him admission to a school nearby.